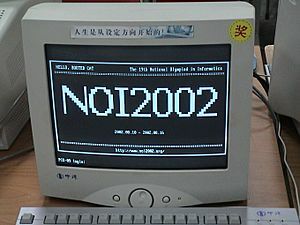 Some of the earliest home computers (such as the TRS-80 and Commodore PET) were limited to monochrome CRT displays, but color display capability was already a standard feature of the pioneering Apple II, introduced in 1977, and the specialty of the more graphically sophisticated Atari 800, introduced in 1979. 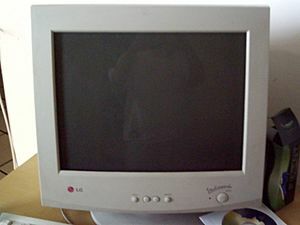 Either computer could be connected to the antenna terminals of an ordinary color TV set or used with a purpose-made CRT color monitor for optimum resolution and color quality. 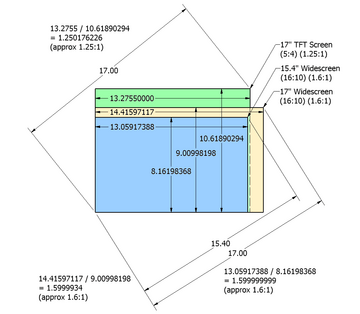 Lagging several years behind, in 1981 IBM introduced the Color Graphics Adapter, which could display four colors with a resolution of 320 x 200 pixels, or it could produce 640 x 200 pixels with two colors. In 1984 IBM introduced the Enhanced Graphics Adapter which was capable of producing 16 colors and had a resolution of 640 x 350. 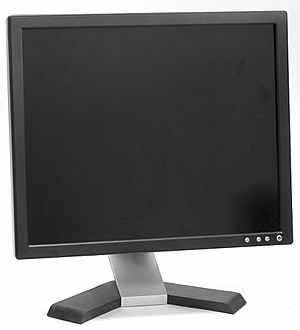 Computer monitor Facts for Kids. Kiddle Encyclopedia.